We're all for defining your own unique personal style, but at the same time, it's also great to have an array of clothes that are timeless and versatile—a perfectly honed capsule you can always rely on. Case in point? These fashionable women. Right now, we're feeling particularly inspired by those who choose simplicity over standing out and in turn, those who get maximum wear out of their expertly selected items. So we delved deep into Instagram to bring you the very best classic dressers, from the starry likes of Victoria Beckham and Alexa Chung to our favourite influencers. As you'll soon discover, common classic pieces include trench coats, simple boots, Breton stripes, and well-cut trousers. However, there are also more directional ensembles to pine over, too. Most notably one involving a jewel-toned satin slip dress and an oversized blazer. Divine. Keep scrolling to see what classic style really means. Style Notes: For after dark, nothing looks more sophisticated than a slip dress paired with an oversized blazer. Thank you, Marisa, for the reminder. We recommend checking out her feed for more excellent dress options. Style Notes: Checked tailoring and mules make for the classiest denim accompaniments and have practically become uniform for the elegant Alberta. Style Notes: Alexa Chung knows she can always rely on a printed tee–and–biker jacket combination to inform her daily wares. Style Notes: No one does classic style quite like the French, so re-creating Aria's ruffled blouse-and-jean look is a no-brainer. 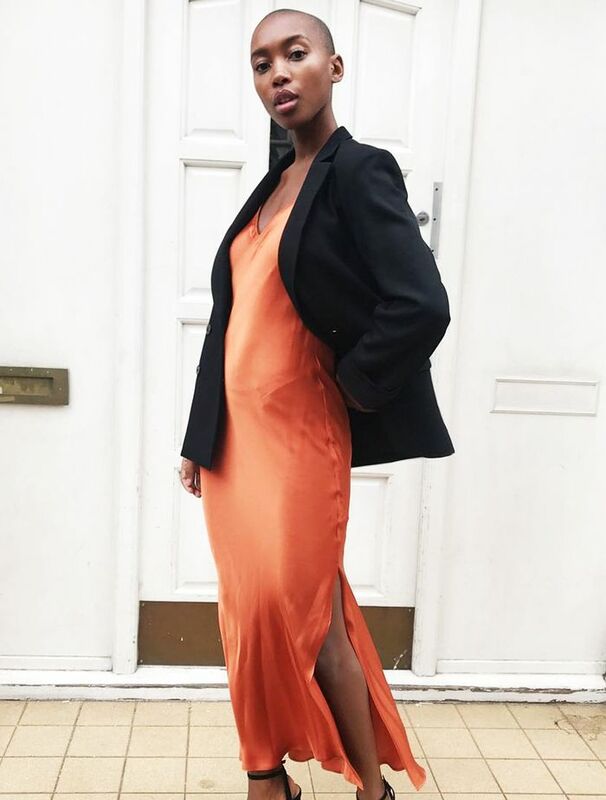 Style Notes: Yes, trainers can look classic when they're worn with a monochromatic midi dress—particularly one with a high neckline. 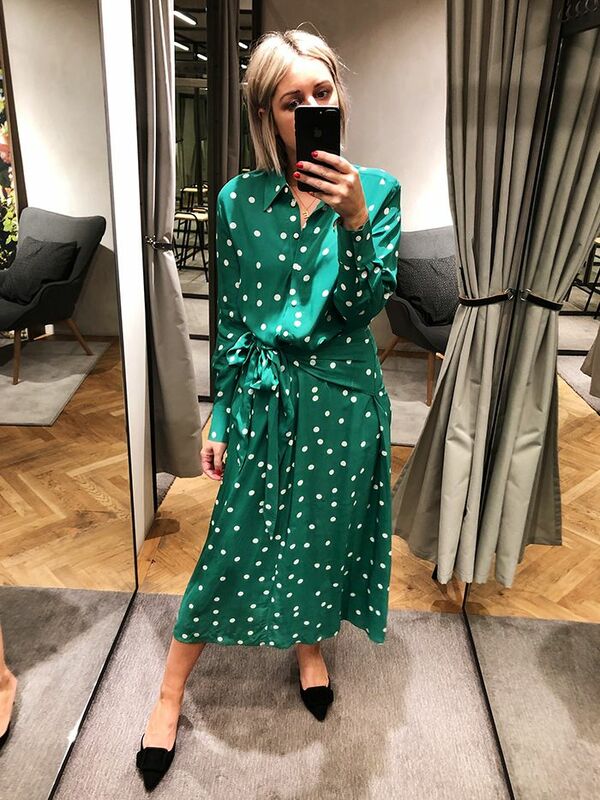 Emma was one of the first to snap up this cult Topshop dress, so her feed is definitely one to keep an eye on for the next must-have. Style Notes: Casualwear might be her go-to, but that doesn't stop Charlotte from looking effortlessly chic at all times—notably in her off-white jeans and grey sweatshirt. Style Notes: Red and black is easily one of the most classic colour pairings. Throw in a monochromatic accessory like the ever-polished Danielle (who, by the way, is wearing her own designs for Navabi) to finish the look. Style Notes: If you're in need of holiday outfit inspiration, look no further than Debora's ensemble. 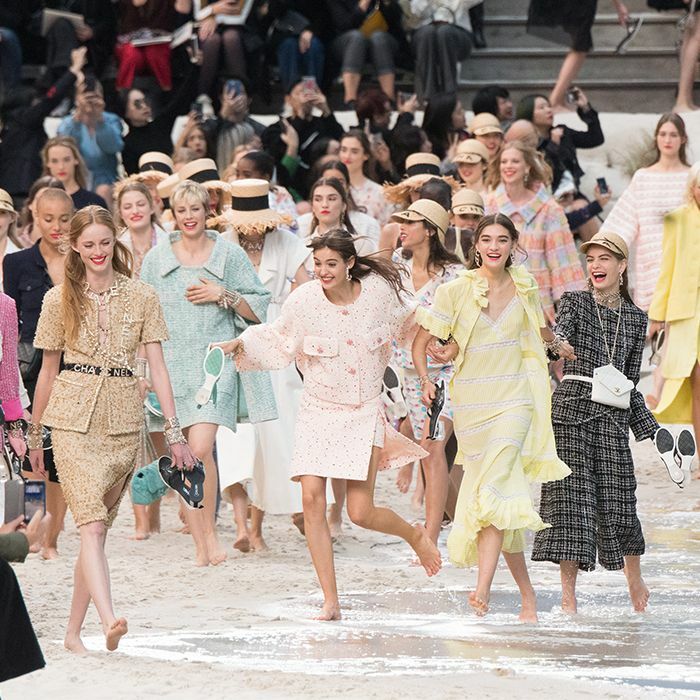 The beige hue of her dress looks elegant with her straw hat—the epitome of glossy St. Tropez style. If glossy outfits are your thing, we implore you to give this girl a follow. Style Notes: If you're looking for an easy way to update your ripped denim, follow the insanely cool Emma Louise Connolly's lead with a beret and blouse. Style Notes: Jumpsuits offer a cool alternative to dresses—particularly when they're worn with minimal strap sandals and a messy undo, just like Emily Ratajkowski. Style Notes: Monochrome is a classicist's palette of choice, and as per, jewellery designer Helena has nailed the look with her striped trousers and designer knit. Style Notes: We always turn to Holly—who just so happens to be a Topshop personal stylist—for chic city wares, and this denim cutoffs–and–linen blouse look will be the first thing we wear when summer arrives. Style Notes: Classic style doesn't have to be minimal, as Holly Willoughby proves. Consider neutralising a floral-print midi skirt with a cream roll-neck. Style Notes: Irina is a master at laid-back style and, as such, is giving us a newfound appreciation the all-too-often overlooked all-black outfit. The fact that it takes two seconds to style is an added bonus. Style Notes: Ask Kerri and she'll likely tell you that leopard print is essentially a neutral—and we couldn't agree more. Make like the stylish mama and wear it with a chunky knit and trainers for an elevated off-duty outfit. Style Notes: Nothing says classic quite like a beige trench coat—especially when it's worn over cream separates, layered gold chains, and finished with a matching bag just like magazine editor Marie. Style Notes: Ankle-strap heels never fail to make midi dresses look even more elegant. Make like the elegant Melise and add a beaded bag and hair slide to the formula. Style Notes: Cosy and chic, it's little wonder that this Zara number worked its way into Eni's wardrobe. She does have an eye for high-street It pieces, after all. Style Notes: This frockcoat-and-boot look errs on the '90s side, and that's exactly why we love it. Up the ante with prim accessories, much like Olivia has done with her headband and handbag. Style Notes: Seeing as Rosie Huntington-Whiteley always looks impeccable, we'd be silly not to copy her tonal outfit. Style Notes: Sania's faux-fur coat looks even more glamorous when worn with black leather accessories. Quite simply, the Swede's outfit is ageless. Style Notes: Stacey Dooley is fast becoming one of our favourite minimalist dressers with her pared-back aesthetic. Case in point? This outfit. Style Notes: Corduroy is deeply rooted in British style heritage. We love how Bristol-based blogger Karina has given her blazer a fresh overhaul with white jeans. Style Notes: Tailored trousers needn't be reserved for the office. Take a leaf out of London girl Lorna's very stylish book and pair them with a slouchy jumper and chic court shoes. 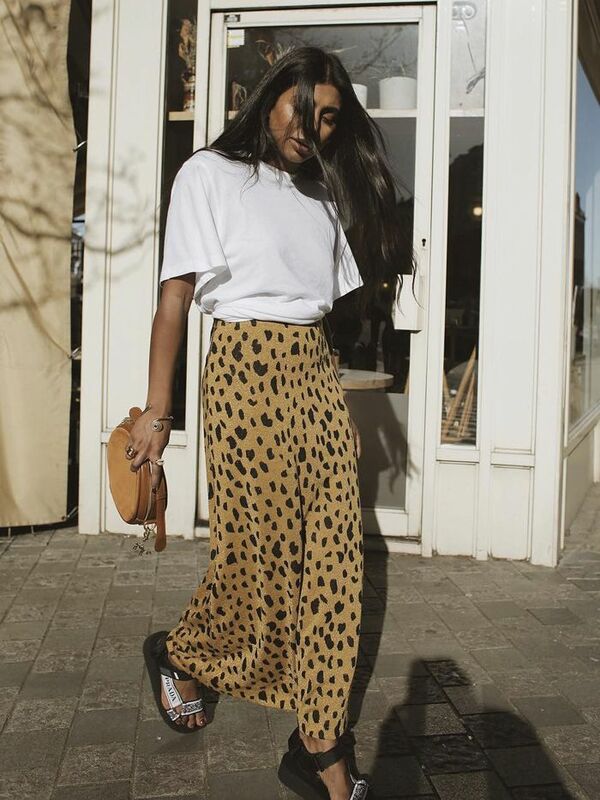 Style Notes: Some trends were meant to be worn together, and that can certainly be said of leopard print and khaki. We bet this is an ensemble fashion journalist Alyson Walsh will be wearing for years to come. Style Notes: We can always count on Alex Steadman to serve up classic style inspiration. Her penchant for Breton stripes and red heels may have something to do with it. Style Notes: A well-cut suit is one of the sleekest things you'll ever own, and we're of the opinion that it looks best worn with a plain white tee. Naturally, the sartorially blessed Vanessa Wong agrees. Style Notes: Every grown-up wardrobe should include a black shift dress that can be dressed up or down with the switch of a pair of shoes. Ume-Romaan is an expert at taking smart pieces and giving them her own unique, incredibly stylish spin. Style Notes: Of course, no classic style roundup would be complete without a cameo from Victoria Beckham. This outfit consisting of palazzo trousers and a high-neck blouse is one of our favourite VB looks of late.